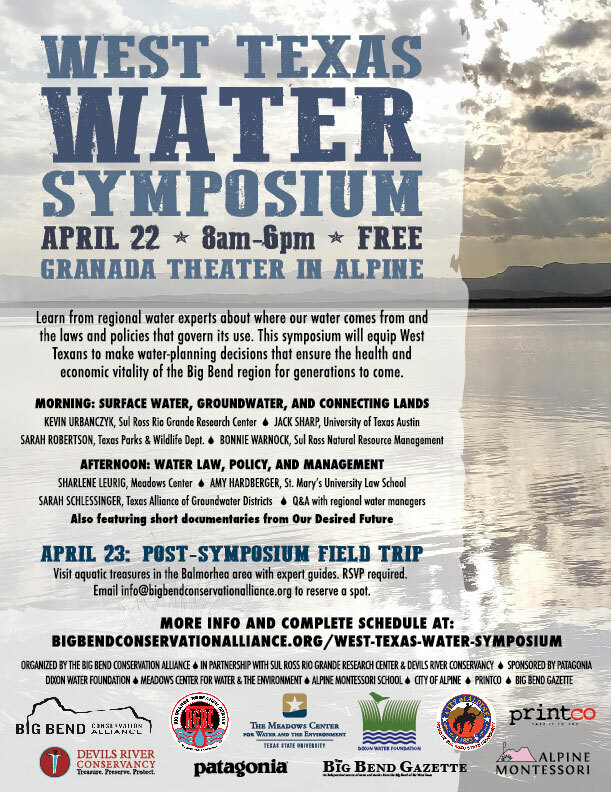 Saturday, April 22, the Big Bend Conservation Alliance is hosting the West Texas Water Symposium. Our Desired Future will be there along with experts on groundwater law, science and land management. Join us! 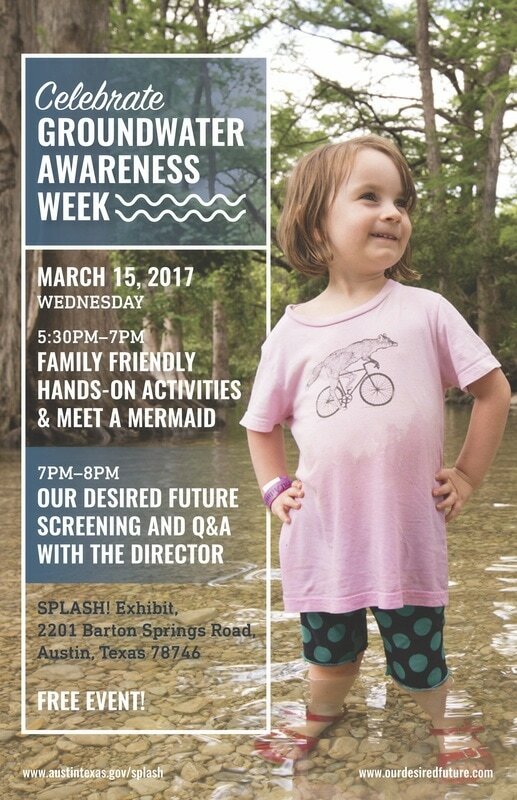 We are excited to announce that in celebration of Groundwater Awareness Week, Our Desired Future is kicking off the statewide tour of our multi-media exhibit at Austin's Barton Springs. The exhibit combines photos, stories and short videos highlighting the interconnections between water above and below ground and what Texans can do to keep water flowing for future generations. Join us on Wednesday, March 15 to get a first glimpse of the exhibit before it goes on the road and watch a half-hour documentary on Texans and their groundwater. Texas has 500 times more water underground than anything you see above the surface. The question is, how much do we pump and how fast? Join us for a celebration of Groundwater Awareness Week to deepen your knowledge of the water below our feet.